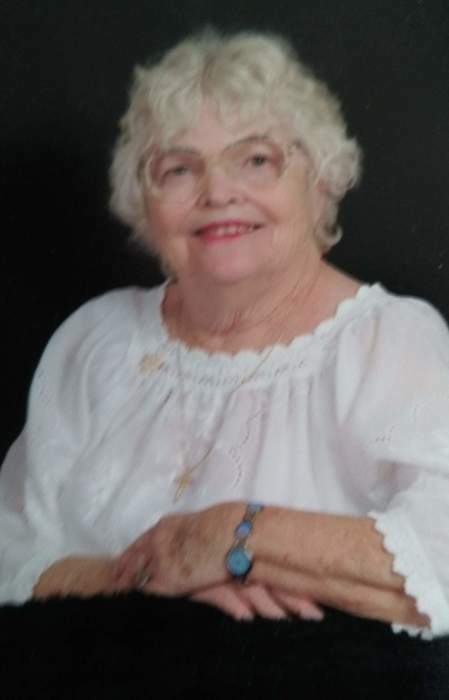 Dunnellon- Miriam Hosack Lapham,82, a kind, warm gentle soul entered the new and eternal city to be forever united to her Lord and Savior Jesus Christ in the early evening hours of the Lord’s day on Sunday, August 26, 2018 with her family beside her at Canterfield Assisted Living in Ocala. She leaves behind those left to cherish her memories, her daughter, Tina Marie Lacey(Glenn), Dunnellon; her sons, Fred Lapham (Anna),Dunnellon, John E. Lapham, St. Pete, FL; her grandchildren, Ami, Mike and Matt; her nine great grandchildren and many friends especially her best friend and lifelong friend. She is preceded in death by her two sisters and two brothers. Miriam entered this life on October 4, 1935 in New Castle, PA. She was the daughter to the late Robert J. and Margaret J. (Metheny) Hosack. Robert Hosack was a builder and decided to move his family to St. Petersburgh, FL and there Miriam was raised along with her four other siblings and grew up by the beach in Gulfport on Bella Vista. In 1994 Miriam moved to Dunnellon and became a member of the First United Methodist Church and was a part of the praise team, the clowns for Christ , the missions committee and Sofesticats Red Hat Society. Miriam was very talented in poet and song writing and crocheting. Memorial contributions can be made in Miriams memory to Hospice of Marion County, P.O. Box 4860, Ocala, FL 34478 or to the First United Methodist Church, Attn: Praise Team, 21501 County Rd.40, Dunnellon, FL 34431. There will be Memorial Services celebrating Miriams Life on Saturday, September 1, 2018 at 10:00 AM at the First United Methodist Church in Dunnellon. She will be laid to rest next to her husband at the Florida National Cemetery, Bushnell.